This past week, I finally got out to do some shooting at a couple of local parks, South Padre Island Birding and Nature Center and North American Butterfly Assoication’s National Butterfly Center. 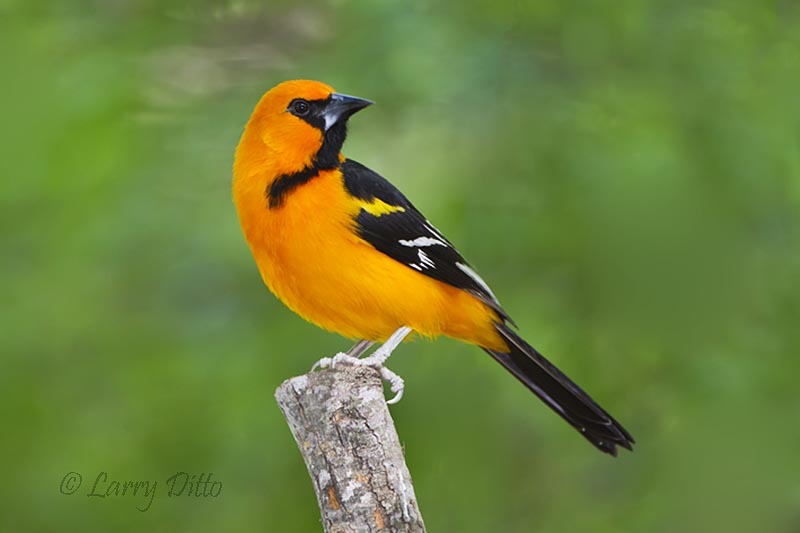 Spring in south Texas (yes, it’s spring here) may require a photographer to lean a little into the wind, but these habitats compensate with their abundant birds and butterflies. March 2 was brisk and windy so the birds stayed close to shore or flew to the freshwater ponds at the Nature Center’s boardwalks. We were working on our second 16 gig cards before the winter Texans got out for their morning boardwalk stroll. Just before sunset, we were treated to a half hour of great blue heron fishing along the Laguna Madre boardwalk. Yesterday’s weather was much more accommodating with a gentle breeze and morning temperatures in the 50s and 60s. At the National Butterfly Park near Mission, Texas the butterflies were active in the morning sun. My body wasn’t ready for the crawling and bending required to get photo-close to the smaller butterflies, but it was a lot of fun (I’ve got to get back in shape for butterflies after a two year lay-off during our extreme drought.) I was surprised to see so many nice birds (great kiskadees, green jays, chachalacas, altamira orioles and clay-colored thrushes) at the center, as well. To compensate for the morning’s exertion, we sat and photographed birds through the late afternoon. It was all a blast. Here is a good selection of photos from these two days of photography at south Texas parks. Enjoy. Click on the upper right portion of a photo to make it larger and sharper. Then click in the lower right or left zone to go forward or backward through all the photos. 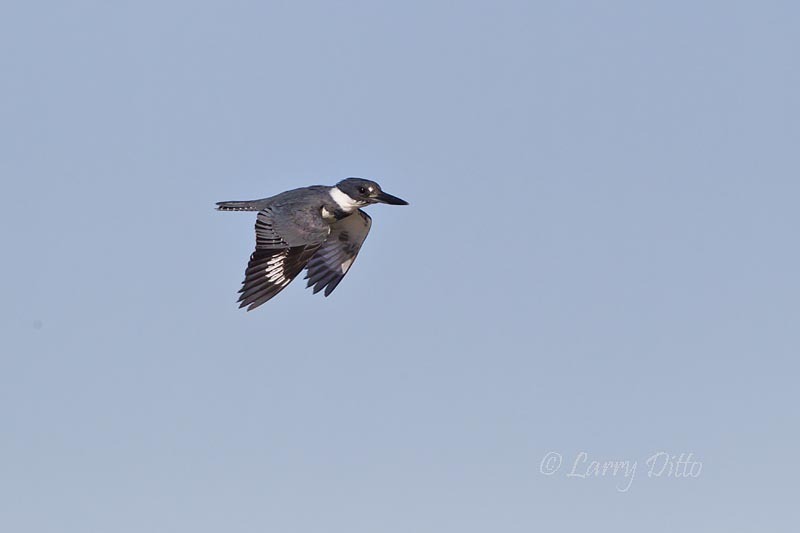 Belted Kingfisher hovering in the wind while searching for prey. 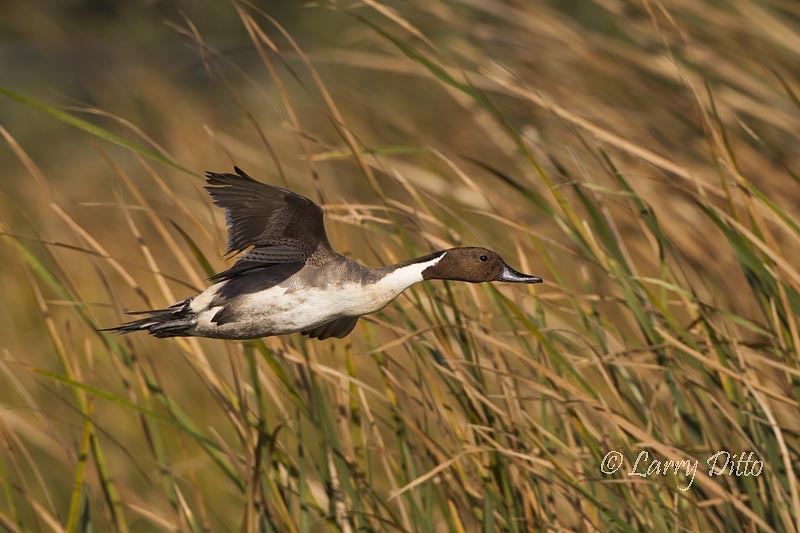 My “new” Canon 1D Mark IV has proved to be “as advertised” with its ability to lock on flying targets in a heartbeat. 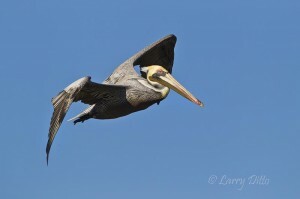 Brown pelican on the Laguna Madre. Normally, I would select a shot with full up or down wing positioning, but I liked this one because the folded wing provided a shadow to highlight the brown pelican’t magnificant head. 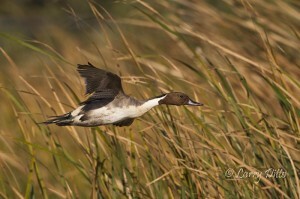 Drake northern pintail headed for calm waters on a windy day. 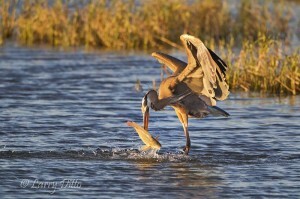 "Hundred Mile Per Hour Redhead" landing in freshwater marsh at South Padre Island. 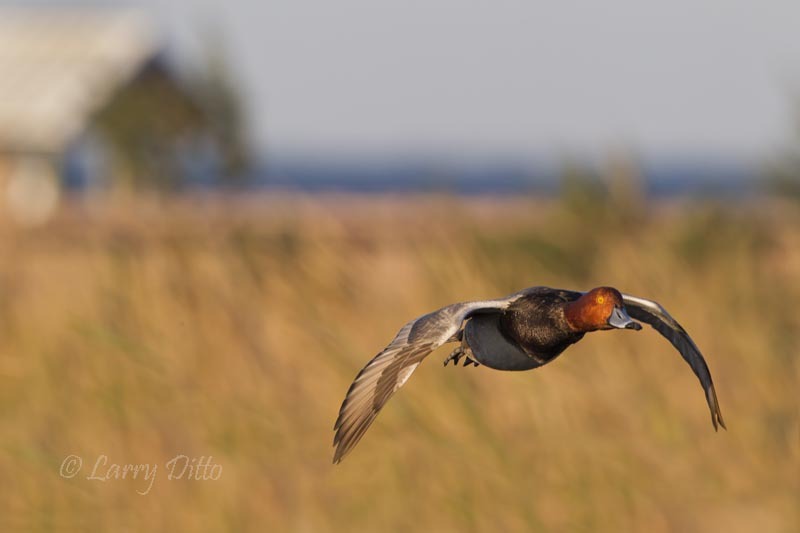 I was panning way too slow for the bullet-like redhead, but I liked the composition that includes a boardwalk photo blind in the background. Note the Laguna Madre in the background. 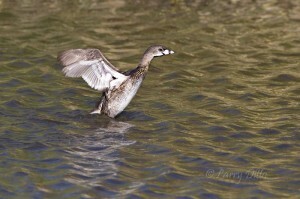 Pied-billed Grebe stretching his wings. 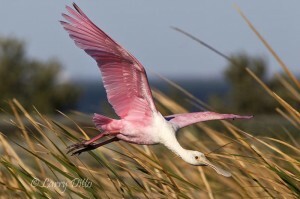 Roseate Spoonbill diving into a cattail marsh to escape a hard north wind on the Laguna Madre. 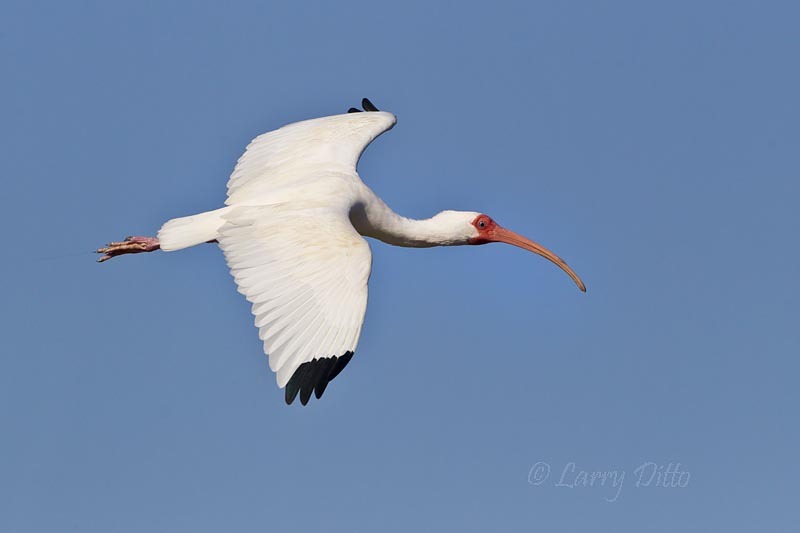 White Ibis about to hit full breeding plumage. 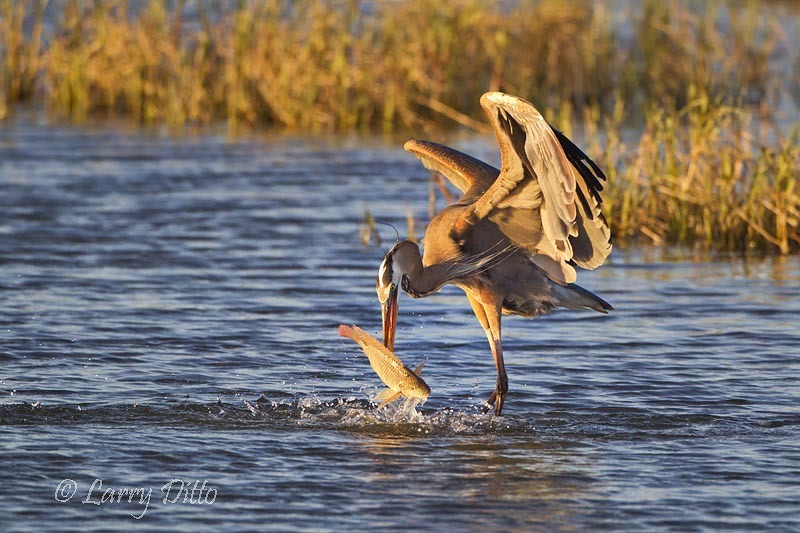 Great Blue Heron with large Tilapia in the Laguna Madre marsh at sunset. 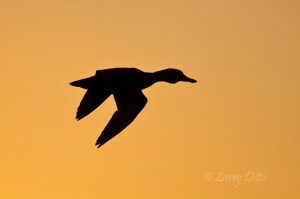 Redhead duck against an orange sky at sunset over the Laguna Madre, Texas. 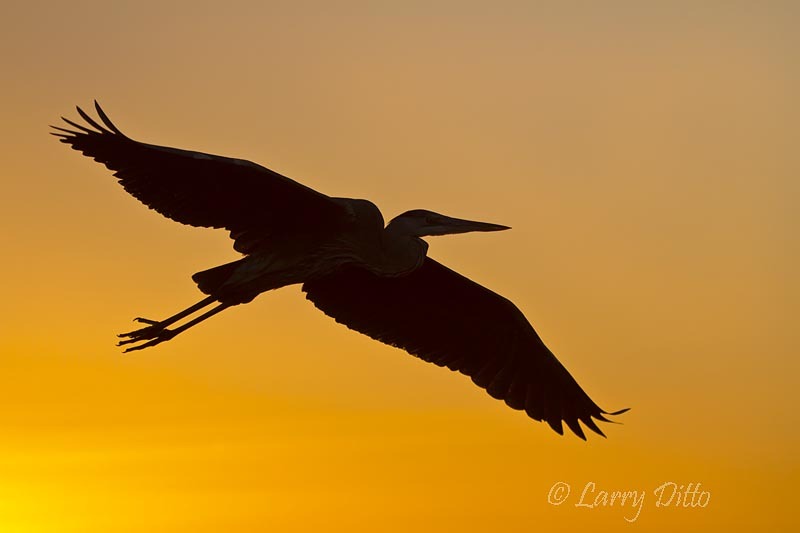 Great Blue Heron headed for the shallows at sunset. Most of the South Padre Island photos above were done with the Canon 1D Mark IV, 500 mm IS lens, Feisol carbon fiber tripod and Wimberley head. The shutter speed was never lower than 1/1250 second and most of the time, it was 1/2000 second or better to freeze the motion. 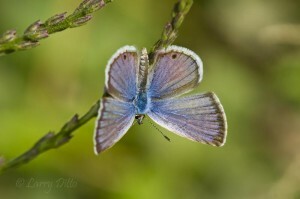 Below, I used a Canon 7D (with its 1.6 magnification factor), Canon 300 mm f4 IS lens, Canon 1/4 tele-extender or Canon 500 Close Up lens, Gitzo carbon fiber tripod and Feisol ball head for the butterflies. Ceraunus Blue warming in morning sun. 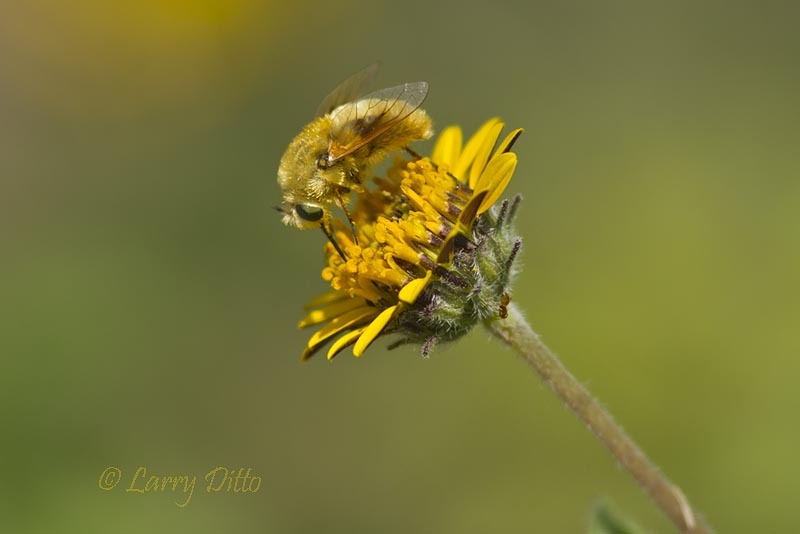 Hairy fly feeding on a daisy bloom. The two shots above were done with the close-up lens screwed on the front of the Canon 300 mm f4 lens. In both shots, the insect was closer than one foot. I didn’t use enough depth of field for the butterfly but I was trying to keep the backgrounds blurred. 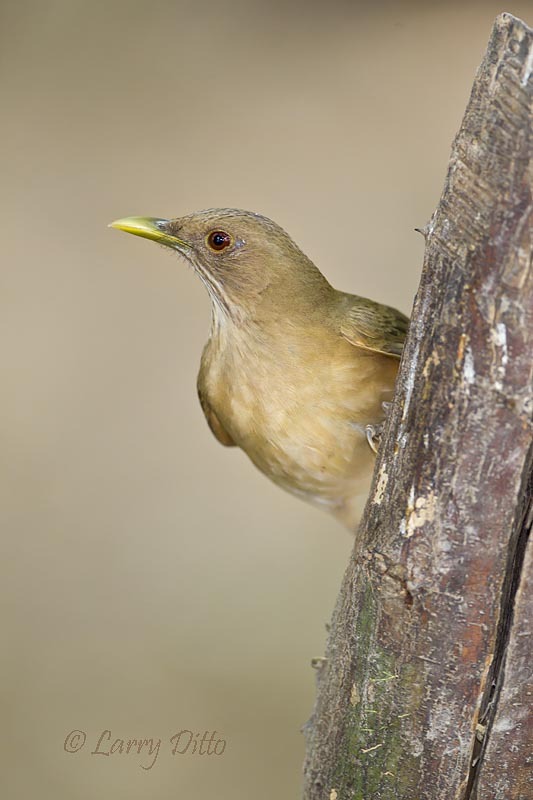 My nemesis, the clay-colored thrush peering from behind a stump. 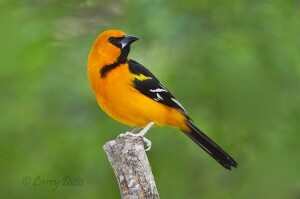 Altamira Oriole in a nice "bird on a stick" pose. I have one more photo for you, the now famous Flamulated Owl of South Padre Island. This bird has spent a month or two hiding in deep cover at the Convention Center. On this day, it decided to roost near the thicket’s edge and the birders located it. Thanks to the guy who told us… a Texas “Longhorn” no less! Good thing I wasn’t wearing my maroon and white that day. 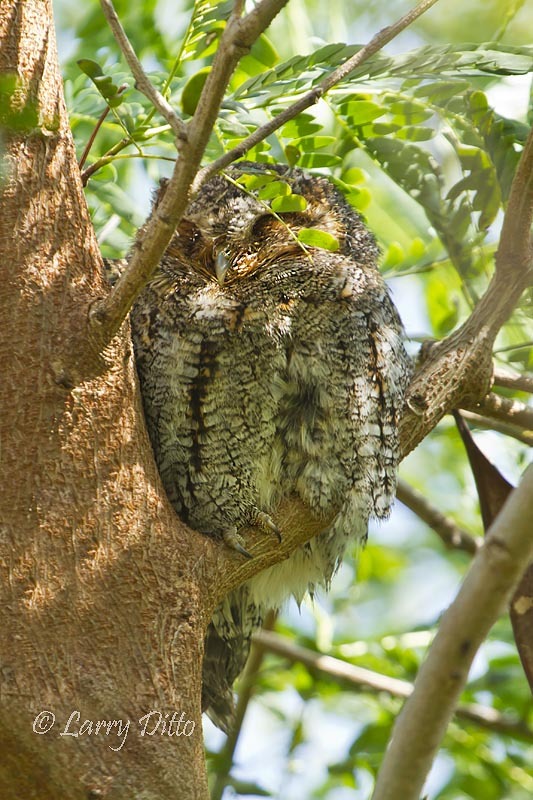 This flamulated owl would easily fit in your coffee cup.